When you are financing a property, the lender will typically need an appraisal to determine the value of the home to insure the loan amount does not exceed the actual value. 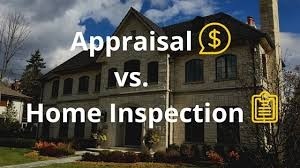 Some appraisals depending on the type of loan may be some what more in depth. As an experienced agent I will also keep an eye out for any conditions that I feel could possibly be a lender condition and let the buyer know ahead of time. I would be happy to discuss your options and show you what homes are available in Colorado Springs, Monument and surrounding areas. Lets get started today give me a call (719) 659-9482. Get a proactive approach and find your dream home.